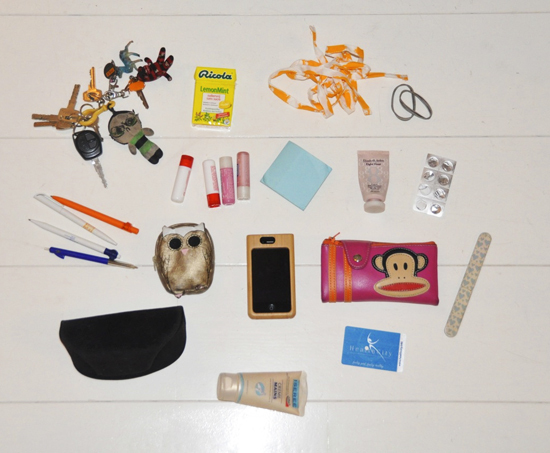 What´s in your bag-tour. JOIN NOW! 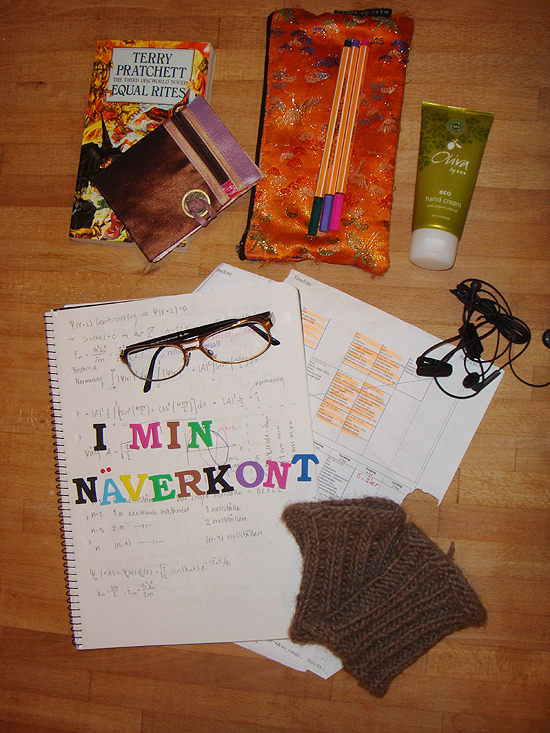 This “Näver” bag belongs to Anna Natanaelsson in Sweden. 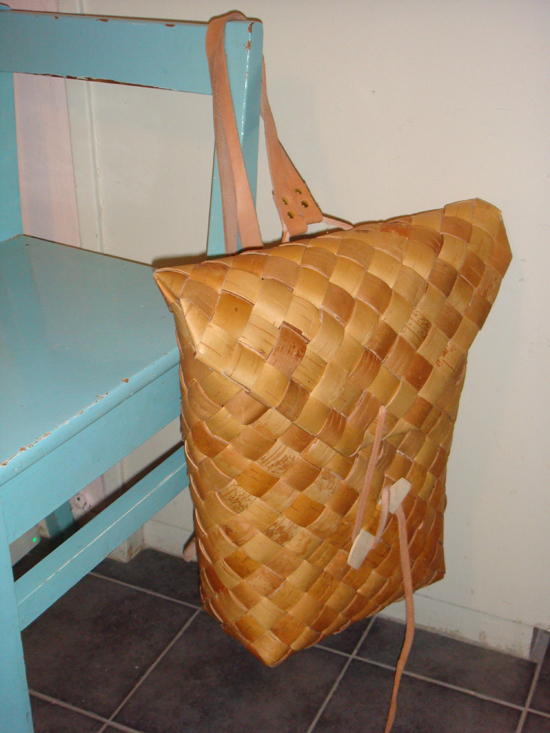 This bag belongs to Jutta, from Finland, with the blog Kootut Murut and this is what she says about it…. Coins, key chain, broken bracelet, pencils, Micron pens, keys with Ugly Doll, dried dog treats (knackkorv), stamps illustrated by Pietari Posti, lipstick and lip gloss, my phone. 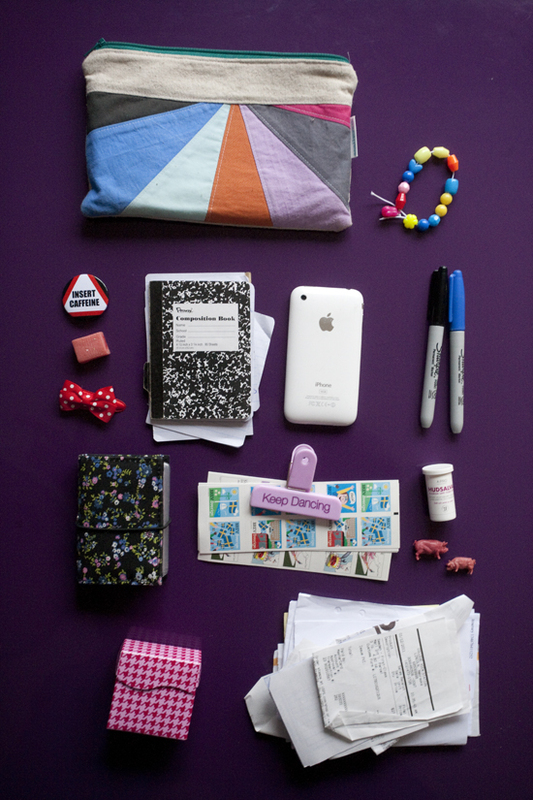 Wallet by Poketo, chewing gum, USB stick, eye drops, mints, tissue paper and a powder I never use. And a shocking amount of dog hair. And Isabelle´s. Read more about it here! It all started with me own bag. Read more about it here if you like. what a cool project – love seeing all of the contents everyone has sent in – I just switched to a super small bag in hopes it would force me not to carry so much. after looking at these pictures, it makes me want my big ol’ bag back! This really IS fun. I’ll wait till morning light to show you mine! Loving this battle – great to get a sneak peak into your daily life! Maria – det är en nyttig matmuffin! 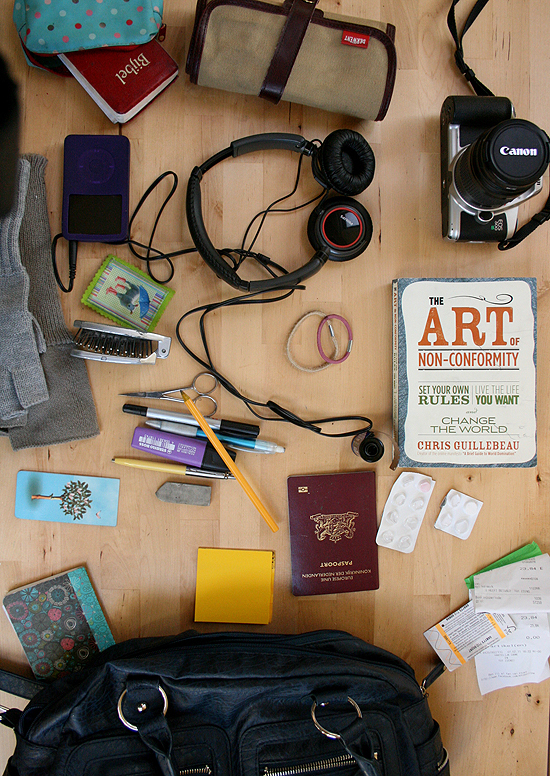 You can almost guess what the person does by looking at the contents – quite intriguing. What a great idea! I was almost going to put up a picture of my bag but I’m a bit too embarrassed to reveal just how unorganized and cluttered I am (even anonymously). Ah well, I am a new mom so I guess I can blame it on the kids. I bought one of those super compartment/pocket Timi & Leslie bags from AnnaBean to get me kickstarted on cleaning up my bag, my home, and everything else! Jenny thank you for this little game. Mine can be seen here: http://dannie.blogg.se/2011/february/bananas.html Think I’m a bit late, but it’s fun so I’ll tag along!